Credit Saint is our choice for best overall credit repair services. With plans starting at $49.99 / month and 90-day money back guarantee it is more affordable and trustworthy than others. A+ BBB rating tells us they have good customer satisfaction. If you are serious about fast results they are a good choice. Sky Blue Credit is our choice for best reviews. They are particularly rated highly for the customer satisfaction with fast & reliable results. They are also very affordable — only $79 per month. This credit repair company will help you get mortgage ready, lower your car, personal loan, and credit card rates in no time. Lexington Law is our choice for best experience in credit repair. They have been in business for 27+ years have helped 500,000+ customers with fixing there credit. With starting price at $99.95 / month they are expensive but they have the experience to back it up, also they work with 24 lawyers in 19 states. 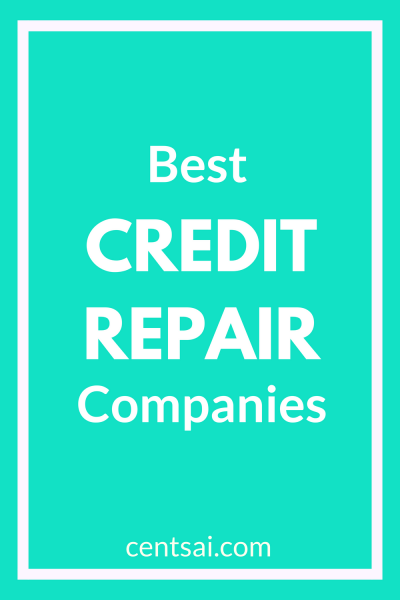 The Credit People is our choice for best value in credit repair solutions. Starting at $79 / Month With 7 days free trail and 100% money back guarantee they offer a very convincing reason to trust them. They have helped 100,000+ people fix their credit and raised their scores in a short time. Pyramid is our choice for best experts in credit repair. Founded eight years ago they have built a team of seasoned lawyers who know how to get fast credit repair results. With a monthly price of $99/month they offer 90-day money back guarantee and no upfront fees. They are worth a call for a free consultation. CreditRepair.com is our choice for best tracking in credit repair. Paying for credit repair is not the end but tracking your progress for what you are paying is very important, Creditrepair.com has the best tracking technology. See your credit score improve in front of your eyes with real-time tracking. The Credit Pros is our choice for best transparency in credit repair. They have all their pricing information and plan options on their website, also provides clients with portal which can be accessed 24/7. In addition, clients have 24/7 access to a case manager. They are expensive but worth a try. A good credit score is as important as a healthy heart. Without it, you’re restricted in what financial goals you can reach. Taking a car loan, a mortgage or even a business loan becomes tough – and expensive – if you have a poor credit score. Whether your low credit is a result of your own financial mistakes or identity theft, lenders see a poor credit score and consider you to be a risky borrower. They will either decline your loan or charge you a higher interest rate. That said, don’t lose heart. Many lenders also look at your recent credit history for signs of improvement. If they see that you’re getting better, they may be willing to ignore your past. Still, you’ll need to repair your credit history. This is where credit repair companies come in. These kinds of companies will examine your credit report; dispute any incorrect items; negotiate with your creditors to ensure that records are accurate, and even work with debt collectors to stop harassing you.